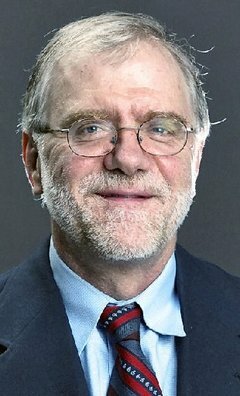 (Rochester) Standing before Rochester City Hall on Wednesday, Howie Hawkins, the Green Party candidate for Governor, said many policies that have broad support among New Yorkers will not have an advocate in the gubernatorial debates if he is not included. “Public jobs for full employment, single payer health care, making the rich pay their fair share of taxes, and a ban on hydrofracking – these are four policies that have widespread support among New Yorkers. But they will not have a champion if I am not included in the gubernatorial debates,” Hawkins said. “Andrew Cuomo and Carl Paladino want to cap or cut state spending and blame teachers, public employees, and people using safety net programs for the state's deficits. I say we have deficits because the rich don't pay their fair share of taxes. Cuomo and Paladino refuse to raise taxes on the rich, who have enjoyed three decades of tax cuts that were supposed to give them incentive to invest and create jobs. That trickle down economics theory is a proven failure. I say it it time to tax the rich again and put their money to better use in the public sector funding a Green New Deal that will create jobs and a sustainable green economic recovery based on renewable energy, mass transit, fully funded schools, single payer health care, and a green industrial policy. It's a choice between the Cuomo/Paladino austerity plan and the Green prosperity plan – and New Yorkers deserve to hear that choice debated,” Hawkins said. Hawkins also called for his opponents to support increased state action to address the growing problem of poverty and unemployment in upstate inner cities. More than 30% of Rochester residents live below the "official poverty" line, while 40% of the city's children live in poverty. These are among the top poverty rates in the nation. Upstate cities such as Buffalo, Syracuse and Albany also have exceptionally high rates of poverty and unemployment, especially among people of color. "This recession has hit the poor far harder than the rest of society. Unemployment among the poor in the US is now in excess of 30% – as bad as the Great Depression. Yet Senators Gillibrand and Schumer and many of our House members voted recently to cut more than $12 billion from the food stamp program. The job programs at both the federal and state level have been anemic and don't reach those who most need them. And both major parties have refused for three decades to rescind the devastating cuts made to affordable housing programs such as Section 8 that Ronald Reagan inflicted," added Hawkins. In addition to a guaranteed living wage jobs program for all New Yorkers, Hawkins said that as Governor he would enforce the state law (Sec. 54 of the State Finance Law) requiring the state government to share 8% of its revenues with local government; instead, lawmakers each year waive the law and provide only about 2% of its revenues to cities and other local governments. "The state's promotion of suburban sprawl and its economic development policies have contributed to the problem of middle class white flight from inner cities. This results in a concentration of low-income people of color within our upstate cities. Not only have our cities lost much of their tax base but they also end up spending considerable tax resources supporting individuals who work in the city during the day. At night these individuals leave, taking both their tax and spending dollars out of the city. City aid was supposed to help solve this problem but state lawmakers ignore the law," said Hawkins. Hawkins said that as Governor he would support a dedicated funding stream for local affordable Housing Trusts and would support a state rent subsidy program to supplement federal initiatives. Many low-income households in NYS now spend 50% or more of their income on housing. Hawkins also criticized Cuomo for refusing to join him during the recent state budget debate to call for the state's windfall of $638 million for jobs and direct payments for welfare participants (TANF eligible households under 200% of poverty) to actually be spent on jobs rather than plugging up holes in the state budget. State lawmakers voted to only provide $14 million for such job initiatives, down from $70 million last year. Previewing what he might say in a debate, Hawkins discussed four policy proposals he wants to debate with Cuomo and Paladino. Public Jobs for Full Employment: “State government should guarantee that every person willing and able to work can get a living wage job. Private jobs are great, but public jobs are necessary for full employment. We need to revive the program of direct job creation in the public sector in public works and services on the model of the 1930s Works Progress Administration. The jobs would be planned at the local level and funded by the state. There is plenty of work to be done: improving our housing stock with green building improvements and new affordable housing; building a renewable energy system based on solar, wind, ground-source heat pumps, cellulosic biofuels and a smart grid for distributed generation and energy efficiency; expanding metropolitan mass transit and rebuilding the electric interurban rail system; improving and expanding parks and other public spaces; child care, elder care, and recreational and cultural programs. Stock Transfer Tax: “The Democrats and Republicans say the state has to cap or cut state spending because we don't have the tax revenues. But the fact is that the state took in $16 billion from the Stock Transfer Tax last year and rebated it back to Wall Street. If the state had kept those tax revenues, the state would have had a $7 billion surplus instead of a $9 billion deficit. The state deficit is politics, not economics; money drenched politicians, not impersonal market forces. The old parties want to make state workers and the general public that uses schools, roads, mass transit, and other public services pay for the deficit instead of the big banking and real estate interests that finance their parties. "We've had three decades of tax cuts for the rich on the theory that they would invest in new and expanding businesses. Instead they have been speculating short term, rearranging paper entitlements to existing productive assets, instead of investing long term in the creation of new wealth in productive assets that employ people. To get the economy going again, the public sector needs to tax the high rollers who are speculating and put some of that money to better use through public spending and investment. In addition to the Stock Transfer Tax, we should enact a 50% Bankers' Bonus Tax on the $20 billion in cash bonuses that Wall Street executives paid themselves after the federal government spent trillions bailing them out. We should also restore the 1972 progressive income tax structure, which would give tax cuts to the bottom 95% of income earners while raising $8 billion more in revenues. Ban Hydrofracking: “I'm calling for a permanent ban on hydrofracking. The Republicans who call for 'Drill, Baby, Drill' know full well that sooner or later that means 'Spill, Baby, Spill,' as the BP Deep Horizon well in the Gulf and the many cases of water contamination by hydrofracking wells in Pennsylvania and other states show. "The Democrats' call for a moratorium is just to get them through the election. They qualify their 'opposition' to hydrofracking by saying 'unless it can be done safely.' Their moratorium only lasts until the DEC can write regs for 'safe drilling.' By next summer, it will be 'Drill, Baby, Drill' for hydrofracking with Democratic support unless we make a ban on hydrofracking the issue and not get diverted by a temporary moratorium. "I support a ban not only because hydrofracking will pollute our waters, but also because it is an irresponsible diversion from building a carbon-free economy based on clean renewable energy. Natural gas is a dirty source of energy that emits carbon dioxide and methane, the much more potent greenhouse gas that leaks from wellheads, compressors, pipelines, and filling stations. Natural gas is not the bridge to the future that some claim it is. That bridge is out and will send us over the cliff.